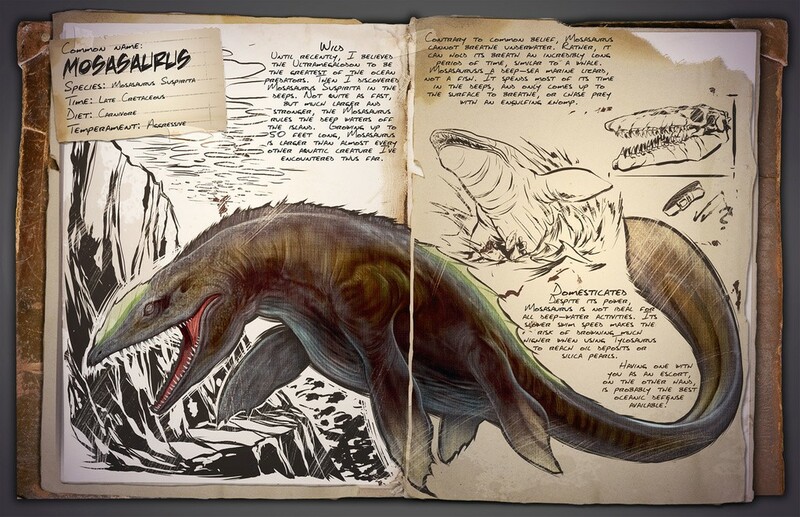 These are the changes of ARK: Survival Evolved’s Patch 174.3. If not otherwise indicated, they’re quoted from the relevant Steam Thread. If you’ve got all 6 artifacts, you’ll have to insert them in an obelisk to summon the broodmother lysrix. These are the changes of ARK: Survival Evolved’s Patch 174.2. If not otherwise indicated, they’re quoted from the relevant Steam Thread. Can no longer drag living unconscious players/dinos in PvE that aren’t on your team. Two new dossiers has been released, which will be implemented in ARK, soon. The Dragonfly and the Mosasaurus. 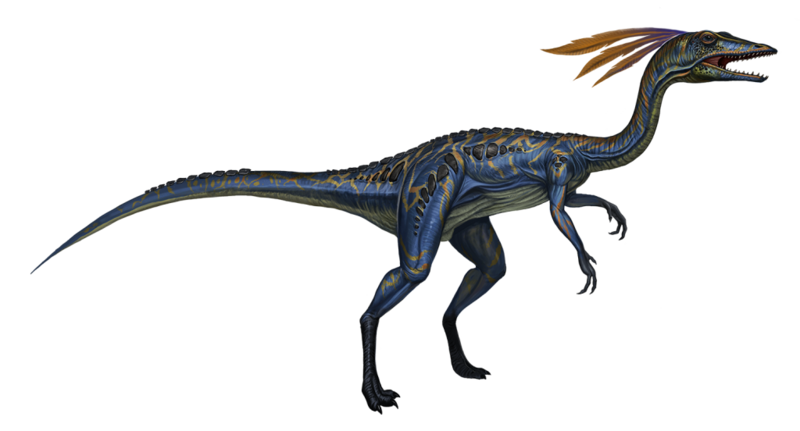 Additionally the Compsognathus has been announced, but without an offical dossier. Prepare yourself for the new playmates. These are the changes of ARK: Survival Evolved’s Patch 174.11. If not otherwise indicated, they’re quoted from the relevant Steam Thread. 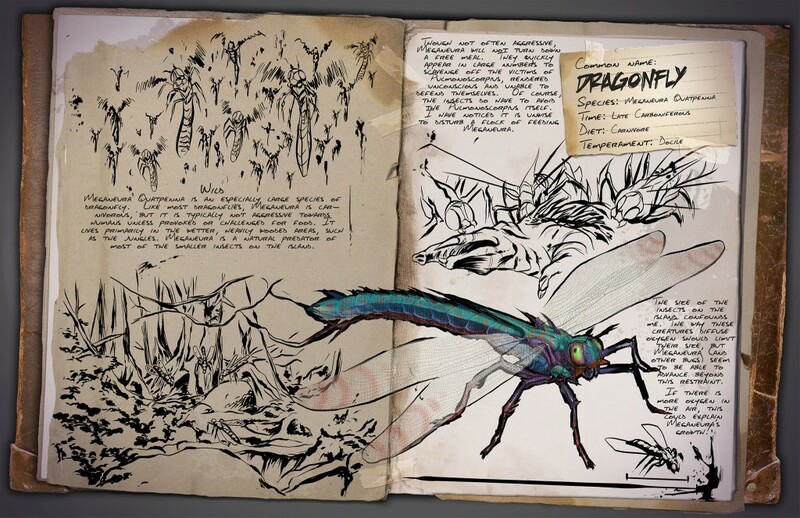 These are the changes of ARK: Survival Evolved patch 174.1. If not otherwise indicated, they’re quoted from their respective Steam thread. Click here for the Patchnotes of the previous patch 174.0, and here for those of the next patch 174.11. These are the changes of ARK: Survival Evolved’s Patch 174.0, grouped by categories for clarity. If not otherwise indicated, they’re quoted from the relevant Steam Thread. Cloth now adds positive hyperthermic insulation, all other armors currently add negative hyperthermic insulation but now scaled more appropriately. Swimwear coming to add more positive hyperthermic insulation! Dino Knocked-Out state will now hold until the Dino’s Torpor reaches 0%, previously they could exit earlier. However, their Torpor will decrease more quickly based on how much their maximum Torpor level is so that higher-level Dinos are naturally more difficult to keep knocked-out. Mid-size dinos (less than Rex, such as Stego etc) now properly fit thru the Dino Gate. For large-tier dinos you need still a Mega Gate, of course. Made it clear via description that the Food Preservation Bin requires Sparkpowder to preserve food, and that it can also create Beef Jerky. Changed autodestruct in PvE structures to 18 days, and made it so that rather than automatically demolishing itself, the structure then gives the option for anyone to demolish it via radial menu. 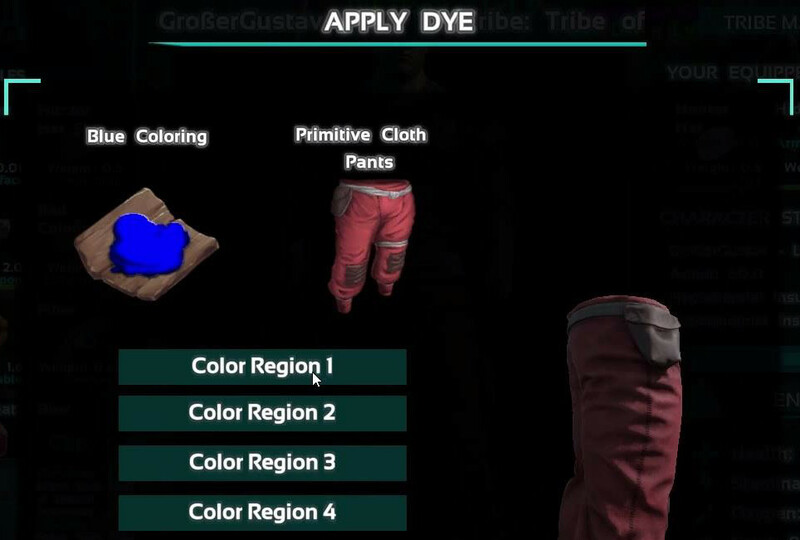 This short tutorial explains the dyeing process in ARK: Survival Evolved. It will tell you about the crafting and mixing of colors and explain how to apply them. Before you can actually dye your clothes, you’ll have to produce dye. Its base ingredients are berries (their color will determine the colour of the product). You also need some water. Put the water and the berries into the inventory of a cooking pot and ensure that there’s some fuel too. Ignite the fire below the pot (key “E”), and wait a short time. The dye will now appear in the cooking pot’s inventory. To actually dye an item you have to drag the dye onto the item inside your inventory. If it’s possible to dye that kind of item, a dialouge window will open. In it, please select the appropriate region. 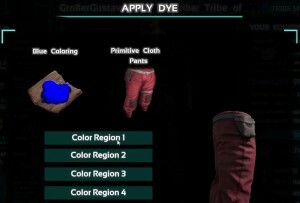 After a click on “Dye now” your garment will be dyed, and the neccessary pigments removed from your inventory. If you find any other recipes, please comment below! We’ll add them to this article as soon as possible. These are the changes of ARK: Survival Evolved’s Patch 173.0, grouped by categories for clarity. If not otherwise indicated, they’re quoted from the relevant Steam Thread. – Spinosaurus! Fear the beast! – PvE structures that haven’t had a Tribe/Creator nearby in one week are now auto demolished. Can be disabled on player-run servers. – Tribe ID’s and Player ID’s are now guaranteed to be unique. Should eliminate future cases of player/tribe body snatchers.